On March 23, 2017, Pakistan nation held its annual 77th Pakistan Day parade in Islamabad. It was the first time a 90-member contingent of China’s People Liberation Army joined the parade underscoring Beijing’s increasingly strong partnership with Islamabad. The Pakistan military displayed its conventional and nuclear-capable weapons at Thursday’s parade in the capital. Military contingents from Turkey and Saudi Arabia have always participated in Pakistan Day parades. The military parade resumed in 2015 after a gap of seven years and was seen as a manifestation of the military’s show of strength in the wake of CIA-Mossad-Raw terrorist attack on military school in Peshawar in December 2014 that killed 137 students and ten staff members including one lady teacher who was burned alive by the terrorists. Pakistan’s president Mamnoon Hussain thanked China for country’s longstanding military, economic and political cooperation. He said the cooperation under China-Pakistan Economic Corridor underscored strong economic partnership between the two countries and opened doors of development not only for Pakistan, but for the whole region. President Hussain, however, reiterated that Pakistan’s nuclear capacities are meant to ensure regional peace and stability. He said Islamabad is ready for talks with New Delhi on all issues, including Kashmir, but accused India of violating a cease-fire in the divided Himalayan region. “India’s irresponsible attitude and consistent violations of Line of Control and Working Boundary have jeopardized peace of the region,” Hussain alleged, referring to the de facto Kashmir frontier. Pakistan’s prime minister Nawaz Sharif, defense minister Khawaja Arif and chiefs of Army, Navy and Air Force took salute at the parade (watch video below) also watch 36 pictures of the parade here. 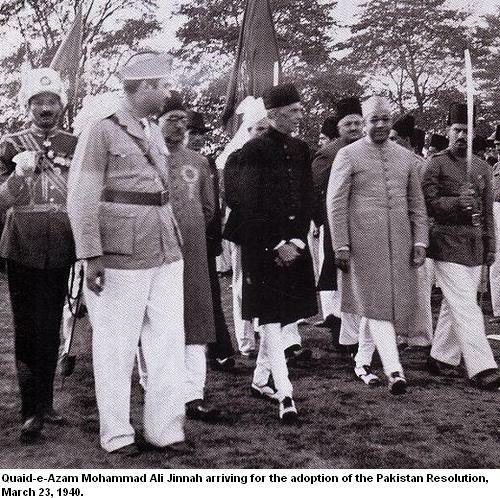 Pakistan Day commemorates March 23, 1940, when a resolution called Lahore Resolution was passed demanding the establishment of a separate homeland to protect Muslims in the then British colony of India. Pakistan was the first Muslim-majority nation to recognize Communist China in 1948. Since the US-India nuclear deal signed in 2008, China has expanded its nuclear cooperation with Pakistan to counter that deal. India, Pakistan and Israel are three nuclear powers which have refused to join NPT club. India considers both China and Pakistan as its regional adversaries.